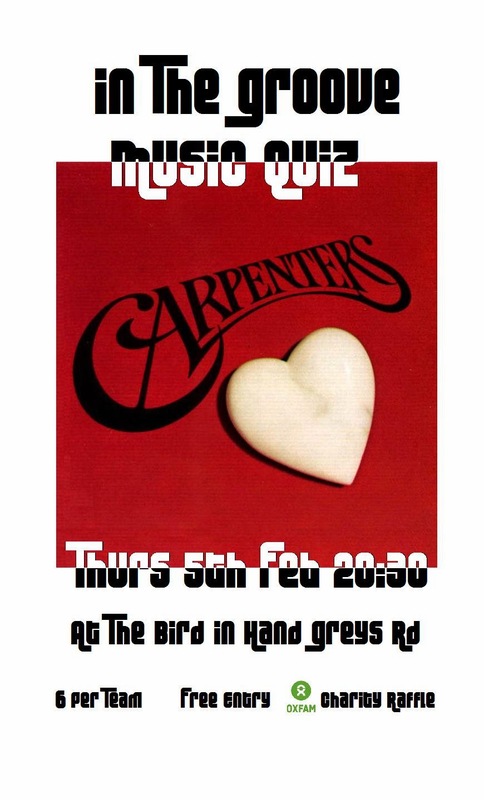 The next In The Groove Music Quiz takes place on Thursday 5th February at 20:30. It will be an early Valentines Day themed quiz, so lots of tears and chocolates and heartbreak and flowers. Remember..All You Need is Vinyl.